Were you looking for Massachusetts Employment lawsuits? Workers' compensation is a type of insurance coverage that employers must provide for their employees. Except for certain specific exclusions, all employers are required to provide workers' compensation insurance coverage for their employees. Some workers may have been unreasonably denied their Massachusetts workers' compensation benefits or had to wait an extended length of time for benefits to begin. In some cases, workers' compensation lawsuits can be filed to ensure the employee's rights are protected. Send your MA Workers Comp claim to a lawyer who will review your claim at NO COST or obligation. The Department of Industrial Accidents (DIA) is responsible for overseeing the workers' compensation system in Massachusetts. Employers in Massachusetts are required to report to the DIA within seven days any employee injury that has resulted in five full or partial calendar days of disability. If the injury results in only medical bills, or fewer than five (5) full or partial calendar days of disability, the employer would report the injury only to its insurer. After an employer reports a worker's injury, its workers' compensation insurance company then has 14 calendar days from the receipt of the first report of injury to mail the injured employee a check. If the insurance company intends to contest the claim, it must send the worker a form stating its reasons for denying compensation within the same 14-day period. An employee claim can be filed with the workers' compensation insurance company at any time but the DIA can't accept it until at least 30 calendar days after the injured workers' first date of disability, or accompanied by a Massachusetts insurer's notification of denial form. 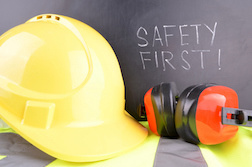 Under Massachusetts workers' compensation law, an employee who is injured on the job must file a claim within four years of the date the worker becomes aware of a connection between the injury or illness and that person's employment. In the case of the death of a worker, the claim must be filed within four years of the death. The insurance company may deny your claim for any number of reasons, including if the adjuster has reason to believe that your injury is not work-related. The insurer must send an insurer's notification of denial by certified mail that includes reasons for the denial. The insurer is also required to inform you of your right to appeal the denial. If your claim is denied, you will be responsible for all medical bills associated with the illness or injury. You can participate in mediation and/or hearings and settlement conferences to try to obtain compensation. However, according to the DIA's Massachusetts workers' compensation guide, "It is strongly advised that you seek legal counsel to protect your rights and interests due to the complexity of the workers' compensation law." An experienced workers' compensation attorney can guide you through the claim process from the beginning, helping to make a case for your Massachusetts workers' compensation benefits, especially if you are permanently disabled from work-related injuries. In 2016, the Massachusetts Supreme Court ruled that a workers' compensation insurer is not entitled to a lien on money awarded to workers' comp plaintiffs for pain and suffering, according to the Insurance Journal. Massachusetts workers' compensation law allows an injured employee to sue an unrelated third party who caused the injury, even if the inured employee received workers' compensation benefits for the injury. The ruling was based on two cases, one involving Richard DiCarlo and another for Bernard Martin, who were each injured while working at a construction site. Both men received workers' compensation benefits ($281,000 to Dicarlo and $556,000 to Martin), according to the Insurance Journal. Both men also filed lawsuits against third parties, with DiCarlo receiving a settlement of $100,000 and Martin receiving a settlement of $1 million, with 35 percent of the settlement proposed to be exempt from the workers' compensation insurer's lien. The Massachusetts Supreme Court ruled that the insurer, Twin City Fire, which tried to be reimbursed from the workers' pain and suffering awards, did not compensate DiCarlo and Martin for pain and suffering and could not seek reimbursement from damages paid for those harms, according to the Insurance Journal. If you or a loved one has suffered a loss as a result of denied workers' compensation, please click the link below and your complaint will be sent to a lawyer who may evaluate your Massachusetts workers' compensation claim at no cost or obligation.